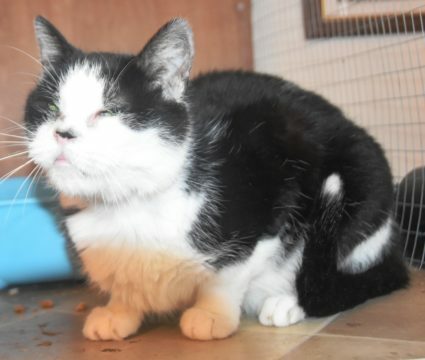 Dolly, a pretty black and white cat aged approx 9 years, came into our care due to a difficult domestic situation. pain free and eagerly hoping for a loving home. causing her discomfort. Any medical expenses will be met by Cats’ Aid. hard time but hopefully there are better times ahead. 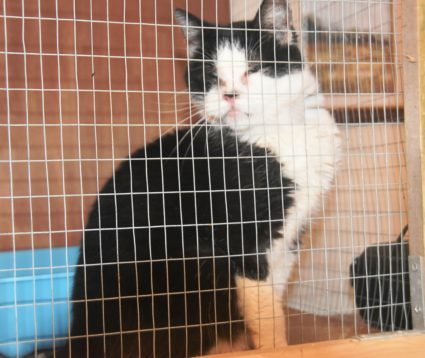 If you can give her that hopeful future please phone our Helpline 6683529 or email catsaid@gmail.com.